You won't find a faster, more powerful and more efficient colour laser than the Lexmark CS820dtfe. 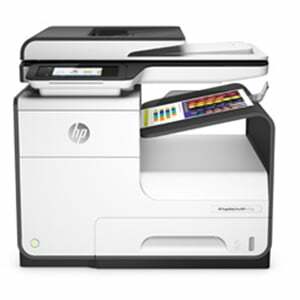 This A4 printer is the top of the range model with 57ppm print speed, first page out in 7 seconds, 1,100 paper capacity and an inline stapler. While the 1.33GHz quad-core processor and 1GB RAM give amazingly fast results, the CS820dtfe also offers unrivalled efficiency and exceptional value for money. Duplex printing and extra large capacity (33,000 page) toners mean less maintenance and maximum printer uptime. The 1200x1200dpi print outs are sharp, accurate and professional and an inline stapler adds a new dimension to the print material you produce. This is a superior colour laser that delivers superior performance. 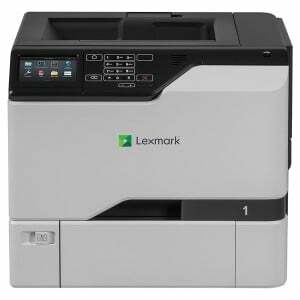 To find out more speak to one of our trained Printer Experts today on 020 7378 4729 or view the Lexmark CS820dtfe.